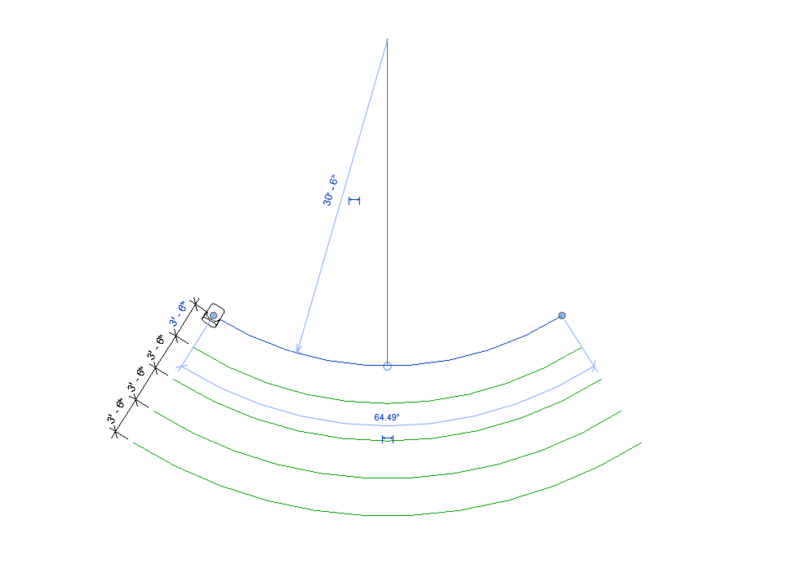 Using the Array command is an easy way to model circular or curved seating like in an auditorium. 1. Begin by loading the seat family into your Revit model. 2. 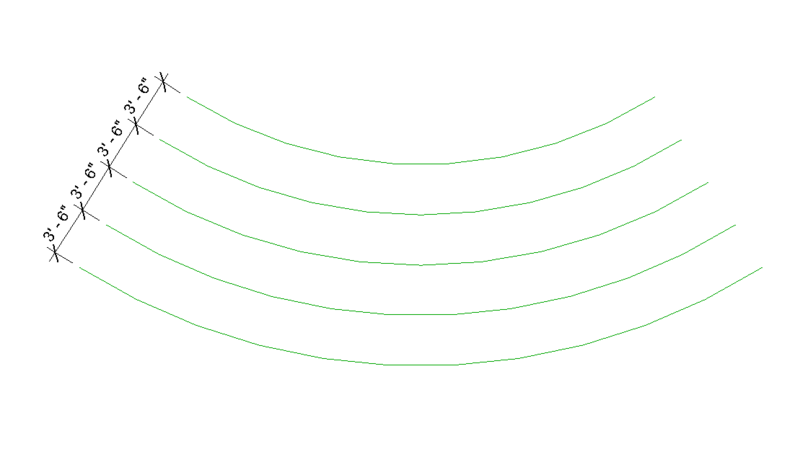 Using model lines draw a 3-point arc along the path of proposed seating- for this example, I used a pdf of an auditorium plan. 3. Offset the line 3’6” to account for spacing between the rows. 4. Drag the chair into the floor plan from the Project Browser and hover over the end of a line, push the space bar to orient to the model line. 12. 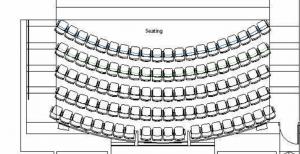 Repeat with the remaining rows being sure to add more chairs as the radius gets larger.